For rides around town and a more casual look while helping maintain riding safety, the Response 3.0 is a strong choice. Water-repellant nubuck leather and PU upper construction combine with a HiPora® 3-layer waterproof, breathable membrane to help keep you dry. Molded nylon ankle guards and a thermoplastic heel cup and toe cap offer added protection. An easy to use lace-up closure combined with a comfortable polyester and breathable open-cell lining maximize rider comfort. 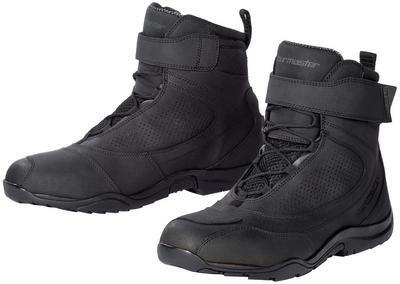 The Response 3.0 Road Boot is a great choice for short rides to long tours in that it provides riding peace of mind with off-the bike comfort and versatility.